We now grant funding to 38 applications that were sent in through the call for proposals International Grants, Network Grant and Journal Grant 2018. Between them, the granted applications will be sharing SEK 22 million. A total of 90 applications was sent in through the call, of which 38 are now granted funding. Out of the granted applications, 10 are visiting researchers (five incoming and five outgoing), four are international conferences, 12 are networks and 12 are journals. Received and granted applications. Click on the picture to make it bigger. The funding for the granted applications amounts to a total of SEK 22 million. 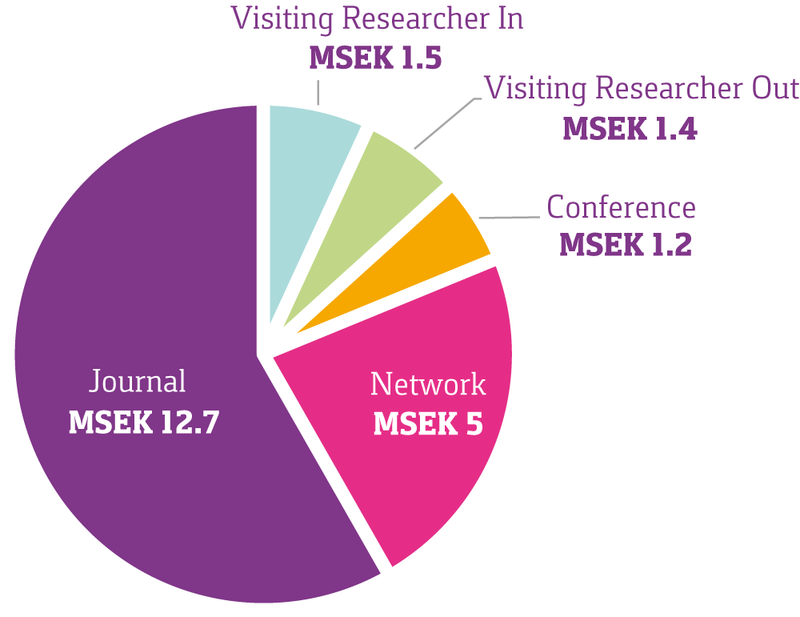 The largest part of the funds (SEK 12,7 million) have been granted to journals. Granted funds per grant type. Click on the picture to make it bigger. A list of all approved applications can be found on the page Grant decisions.